Wisconsin like the rest of the country is getting hit with some very cold weather. Up North, were our cabin is, 12 to 16 inches of snow fell. We had 10 snow flakes. I always want snow, until it comes and stays and stays and stays. Too bad that the camera doesn't pick up the sparkle on this card. I used my newest Raisin Boat Rental called Heavenly Holidays. I think that snow angel is so sweet. In this video I show how I tried to make my own Wink of Stella pens. I think I need to get some floor wax. 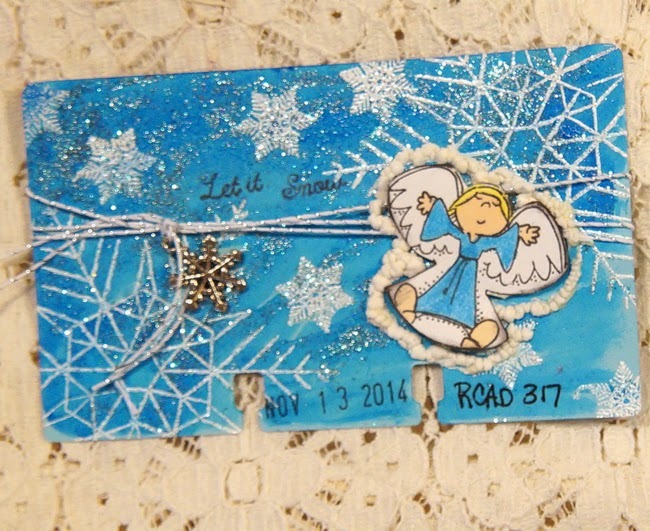 I got the idea from thefrugalcrafter Lindsay Weirich. She has amazing ideas. Thanks for stopping by and have a very crafty day! 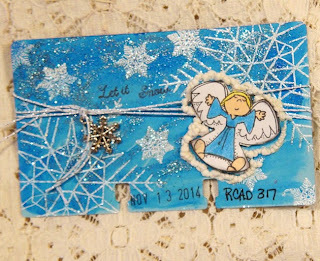 Absolutely gorgeous Linda I can see some of the sparkle, love the little Angel and design work, superb make.